Arthur "Art" Clokey October 12, 1921 - January 8, 2010 was a pioneer in the popularization of stop motion clay animation, beginning in 1955 with a film experiment called Gumbasia, influenced by his professor, Slavko Vorkapich, at the University of Southern California..
From the Gumbasia project, Art Clokey and his wife Ruth invented Gumby. 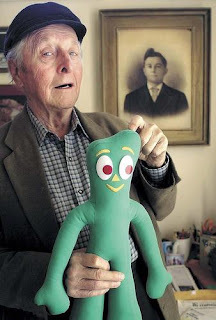 Since then Gumby and his horse Pokey have been a familiar presence on television, appearing in several series beginning with the Howdy Doody Show and later The Adventures of Gumby. 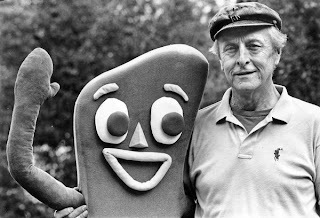 The characters enjoyed a renewal of interest in the 1980s when American actor and comedian Eddie Murphy parodied Gumby in a skit on Saturday Night Live. In the 1990s Gumby: The Movie was released, sparking even more interest. 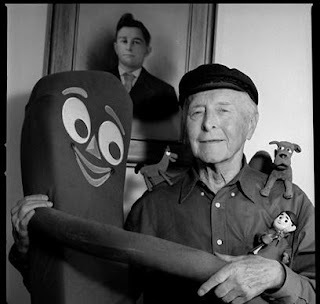 Art Clokey's second most famous production is the duo of Davey and Goliath, funded by the Lutheran Church in America. 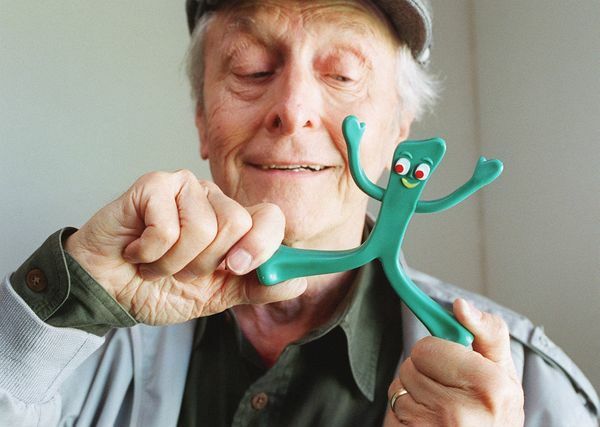 In honor for his contribution to clay animation Google doodle of October 12,2011 was based on his animated clay characters.